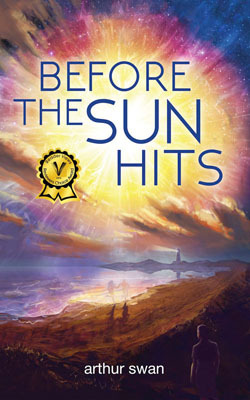 When an unrelenting universe threatens to end Earth in an instant, one man could make a difference . .
A disillusioned small-town math professor discovers the sun is dying and the fate of Earth lies in the hands of a sadistic billionaire. Unable to work alone, Drew Bauer pulls his friend into a dangerous cross-country trip to a secret NASA facility. There he falls for a scientist he can’t trust, as together and against all odds, they race down the California coast to save the world.